Square Root created this stunning ballroom decor for a Sindhi wedding at the Ritz Carlton in Laguna Niguel. 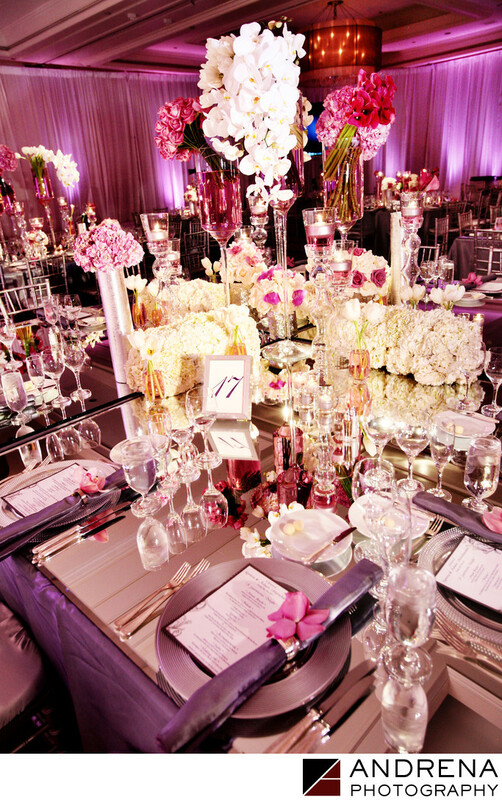 Mirrored tabletops were adorned with florals in white, purple, pink and silver, while the room was draped in white and then lit with purple uplights. The mirrors on the tables created beautiful bouncing light which added gorgeous illumination to the floral arrangements. Coordinated by Ajita Chopra Events.